'This Girl Can' is a project to inspire girls and women, no matter of age, colour, shape or size to get more active by doing more sports. The campaign is popular all over the world. The project is to encourage and boost confidence of female gender that is stereotypically not as good at sport. 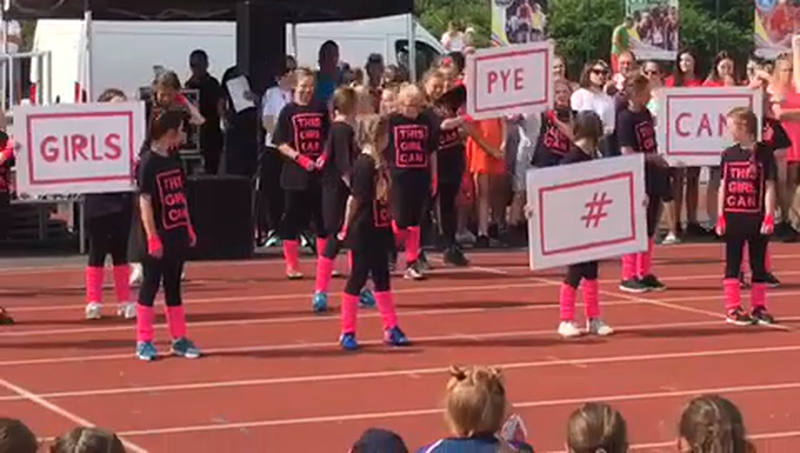 19 girls from Albert Pye learnt a 'Girl Power' dance and performed it at the Suffolk School Games County Finl in Bury St Edmunds to support the 'This Girl Can' project.